These Unlimited plans are the most popular plans that our customers like to go with. Because you can host unlimited numbers of files, CSS, JS and media files like jpeg, png, and other formats. Unlimited is best suitable for all type of websites apart from if you are planning to use VPS, cloud or dedicated. We provide cheap & best web hosting india to our customers in India. We understand that, Small companies needs low cost plan, thats why we have come up with affordable hosting price for our customers. We are one of the best hosting sites in India. Choose any one of plans as below. HostingRaja provides 3 different kind of unlimited linux plans. You can choose the premium hosting If your website is going to have lots of traffic. For example, If you think that, your website is going to have more than 1000 or 3000 visits per day. Normal unlimited is generally good enough to accomodate any typical website. Premium hosting comes with more processing & disk capacity. Why Linux Hosting is the most popular choice? Do you know more than 80% of the web servers running in the world are running using Linux OS. Linux is one of the best operating system to run web, email, data base servers. Linux is a open source and it is well tested and more secured platform than Windows. If you plan to develop or host a open source based content management system, then Linux is the "great" hosting option. Most of CMS, such as WordPress, Joomla, PHPMyAdmin, Magento and various other CMS or open source applications prefer to have a linux. Buy your linux package today and save upto 44%. Build the best online presence with our reliable linux hosting packages. India’s most trusted hosting service, get a 24/7 online support. Hurry Offer Valid for Limited Time. If you are looking to buy a Linux Hosting then you are in the right place wherein HostingRaja we provide best-in-class Linux service for our customers at an affordable price. Today most of the people would like to go to Linux Hosting or for Linux operating system as it is very easy to use. With our Linux Hosting, we provide amazing features with easy to use control panel features. We also provide 24/7 tech support via phone, live chat, email, and ticket system. 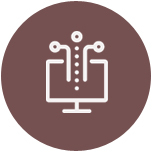 We also provide Guaranteed 99.9% network uptime. So what are you waiting for buy you Linux Hosting from us today and get 44% off. This offer is for a limited period only, so hurry up grab one soon. Get your linux hosting with powerful cPanel (Control Panel). You can very easily manage your website hosting with easy to use cPanel. cPanel comes with all the tools required to run your web applications, Such as File Manager, FTP manager, Email manager, PHPMyAdmin and there are other 100s of options available with cpanel. 44% Off, Save big using our Linux Hosting Plans. Unlimited Disk Space and Bandwidth with 99.9% Uptime Guarantee. Choose the best and the most affordable Linux hosting plan for your website. Make the best use Today!! Website will have negative impact. If there is no SSL Certificate in Google ranking. Install any apps of your choice, Just a single click. We have enough Video tutorial to help you. We support the latest PHP 7.1 version and also, Using single account you can run multiple PHP. Your linux plan is optimised to run any popular CMSs such as WordPress, Joomla, Drupal, PHP Applications. We are the pioneer in using advanced technology in Linux Hosting such as CloudLinux and CloudFare Integration help. It can't be better than this for your performance. RAID 10 gives the ultimate read/write with SSDs. We have six different types of linux hosting to suit the needs of all the website owners. The most popular and high selling packages are Unlimited and premium hosting. We strongly suggest you to go with unblimited which is best for all kind of companies and it can hold any amount of Emails and comfortably handle the traffic of your website when it spikes the traffic. Get your linux plans with powerful cPanel (Control Panel). You can very easily manage your website hosting with easy to use cPanel. cPanel comes with all the tools required to run your web applications, Such as File Manager, FTP manager, Email manager, PHPMyAdmin and there are other 100s of options available with cpanel. We are providing secured cPanel, thats one of the advantage of buying with HostingRaja. Every hosting plans with us, comes with cPanel, It may be either unlimited or premium or basic website hosting. We provide 24/7 support for all your concerns related to cPanel. While most of the service providers charge for a cPanel in Linux hosting service, we provide it free of charge. Our cPanels are the most secured in the industry with all the user friendly features. 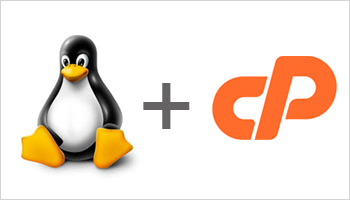 Buy our linux hosting services with cPanel today. Windows hosting is the right solution for those intending to use a specific Microsoft application like Active Server Pages (ASP) and developing the website with Microsoft FrontPage. The website developed with .NET, MS Index Server or Visual Basic scripts, then the hosting environment is the better choice compared to Linux. Our hosting plans are suitable for a simple small website to a big and high traffic website. We have 5 different plans, you can choose the best plan according to your website needs. HostingRaja is been providing first-class windows hosting at an affordable price with numerous advanced features. Our windows plan comes with fast performing Intel dual processor Quad-Core Servers. With our windows plesk hosting you will be getting features that are exclusively designed to vanish the complexity of the server functions and making it easy for the user. In HostingRaja we guarantee the hassle-free experience along with quality services. What is the supported version of ASP.NET? We support almost all the versions of the ASP.NET, We support 4.0, 4.5 and 3.5, 2.0. Whether i can use both ASP.NET 2.0 and 4.5 in the same windows hosting account? Can I host WordPress and PHP/MySQL websites in the Windows shared hosting? Yes, You can host any PHP and MySql websites, not only Wordpress, We support all the open source applications. Do you support crystal report or other features in windows Shared hosting ? Yes, We support crystal report. Not only this feature, We support all features needed for any web developers. We support others features like too. What is the supported PHP/MySQL version ? We support the latest version of PHP and MySQL. As of today(Jan, 2018), PHP 7.2 and MySQL 5.6 supported. 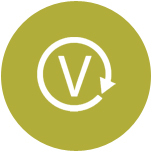 How many visitors can it support at any given point of time ? Our unlimited and premium hosting plan can support at least 50,000 to 1,00,000 user per days. But anyhow, It is completely based on your website DB and RAM/CPU utilisation. What is the supported version of crystal report and report viewer in windows shared ? 13.x and you can run your own crystal report version also. Whether both ASP.NET and PHP based website will work in windows shared hosting ? Is there any limit on my hosting account such as Email accounts and number of websites ? There is no limitation on the number of Email accounts or website hosted by you in the unlimited and premium hosting plans. But, there are limitations on Gold and Silver plans. Your server can be fully utilized by you. You can add as many websites as possible by you based on your convenience and RAM/CPU/inode limitations. Do you secure my website ? This is a very good question. In fact, this is the unique features available with HostingRaja hosting. We can proudly and very confidently say that, Our Hosting in India are more secure than others. You can buy our servers with more confident on security. Do you provide FREE domain? Yes, We like to encourage first time website owners. We provide free domain when you buy hosting unlimited/premium or website builder. Do you provide FREE SSL certificate for my website? Yes, We provide FREE SSL with premium and unlimited plans. 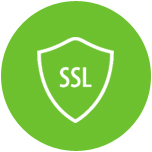 Please learn more about SSL here. Do you give discount on prices ? We give up to 44% ~ 55% discount on the price listed in our website. You may get lesser price from other companies hosted in USA or outside, All our servers are hosted on India to provide better speed and SEO boost. What is the supported version of MSSQL and MYSQL in windows shared hosting ? We support all the versions of MS-SQL and MySQL. We can accomodate based on your request to the suitable servers. What is the IIS version support in windows? Can I use the cron job / schedule task in windows hosting ? Yes, You can. We don't have any limitation on that. What is your Email server, Do you support WebMail? 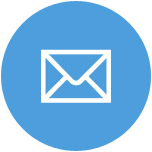 We use MailEnable email server and also we provide webmail access too. Can I set SPF DKIM other DNS records in Plesk Panel? How to Install application for website in Plesk? 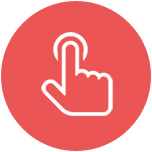 You can do one click easy install of Joomla, Wordpress , Drupal and any other popular web applications. Do you have any limitation on Emails per hour in shared hosting plans ? Yes, You can send upto 100 or 150 Emails per hour, about 2400 emails per day. If you need more limits you can contact our support team. What is the DB size in shared hosting ? It is very rare that, Our customers have faced limitation on the size of database. You can have database size up to 5 to 10GB, Which is 10,000 MB in size. 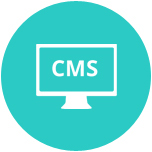 Is your hosting supports WordPress/Opencart/Drupal/Joomla and other CMSs ? Yes, If it is supported by other hosting companies, Most likely We also support it. We support almost all the open source PHP based applications. Can you help If I want to add extra storage to my servers ? There are many ways, We can help you with your hosting plans. We can add some extra hard disk for you if possible, Otherwise we can migrate you to vps or cloud hosting within Indian data center without downtime. Do you have SSD drive for your server ? We provide SSD drive for your vps server with an option of combination of SSD and 15K RPM high speed drive. 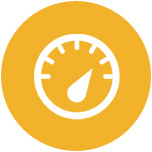 These SSD and 15K RPM combination provides the maximum speed required for your web applications. Do you provide control panel ? Yes, We provide control panel such as Plesk. In Windows OS, What is the supported version of MSSQL ? We provide FREE MSSQL express edition, 2008, 2012 and 2016. What is your ticket response and resolution time ? We mostly respond to all tickets with-in 1~2 hour time and we mostly resolve issues within 2 ~ 4 hours. Though, We request you to wait for 4 hours for response. What is the speed of the CPU & RAM (Memory)? We use the latest CPU available in the market. At present (Jan,2018), We use E5-2620 V4 Intel dual processor with 16 Core, and 32 threads. Base Frequency - 2.10 GHz and Max Turbo Frequency - 3.00 GHz. DDR4 Memory. All our servers come pre-installed with RAID and can be changed to offer different RAID options. 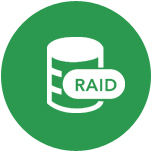 Our servers can support RAID 0, 1, 5, 6 or 10. If you want to have maximum safety for your data, then you can go with RAID 10 and at the same time, if you want to good safety for your data and then more storage, we suggest you to go with RAID 6. Unlimited Hosting is a hosting plan where you can create large number of web pages under one account. In Unlimited plans you can use unlimited bandwidth for entire website with unlimited Domains, Sub Domains, Unlimited Email, required for your domains, MySQL Databases, Unlimited FTP, Private Name Servers, Unlimited Add-on Domains, and Free SSL Certificate. You can buy one of the best unlimited plans with HostingRaja to host some of your website. We provide unlimited MySQL server database and unlimited bandwidth. Unlimited bandwidth means that your website can utilise any amount of bandwidth within the policy defined by the company. Unlimited disk space is a option given in the unlimited plan to host any amount of file which is related to your website. Note that, you can use this unlimited as a backup storage or to store your media content. My application is not suitable for an unlimited because of some complexity and for some server issue. So is there any other alternative option? Here at HostingRaja, we take and also guide you with the right Unlimited plan for your business. Moreover, we do not monitor manually or even pick accounts which are not fit to use Unlimited plans, instead we get an automatic alert from our system and from there we will trigger all the information. We also try our best to accommodate your website with our server. But sometime if your website creates any problem or causes any loading issues for other websites which are hosted on that server only then we will be forced to suspend your account. This suspension of a website is always the last option for us and we also ensure that our team will get in touch with the website owner and update them about this action. At the same time, you are also like to inform you to upgrade to a higher plan if your current requirements are not met with the present plan. Why do customers prefer HostingRaja When it comes to Unlimited? Most of the customers prefer to go with Unlimited plan with us, Due to the low prices and better support offered from us We provide premium unlimited hosting for a very much affordable price, Premium plan comes with premium support and premium SSD disk premium performance. Our unlimited plan is suitable for all kind of PHP frameworks and supports all the latest version of PHP,MySQL, and other required software You have the option to contact our technical team using Phone, Email and support system. We request you to contact us using the Ticket system So that we can help you better. Get Optimized & Performance tuned Linux VPS with control panel. Tons of features added to our Linux Powerful Dedicated, Check it. Get the best performing Windows dedicated server with full manager service. How many plans, Do you have in shared? We have six plans to meet various requirements of all the types of customers. We provide both cheap and premium hosting. Our basic plan starts from Rs. 99/year when you sign up for multiple years. What are the features available with your packages? Are you Indian web hosting company? I.e are you hosting all your websites in India ? Yes, We 100% guarantee that We host all your websites in Indian DataCenter. So that your website gets SEO friendly and super fast loading time. Can you help me to host a website? We will certainly help you to host your website. Please contact our support team using the support page. Being one of the best company in India, It is our responsibility to guide our customers. Can I start with Rs. 99 hosting plan now and later upgrade to premium or unlimited ? Yes, Technically you can do. But, However we suggest you to go with unlimited and premium hosting to get better service with better CPU/RAM usages. What is the recommend plan for my ecommerce website ? We strongly suggest you to go with VPS or Cloud for Ecommerce website due to the scallable options and better performance. We have optimised servers for mainly ecommerce website hosting.